Xbox 360 is less than 2 weeks away now, and gamers everywhere are getting fired up. We are here at bit-tech, too, as you can probably tell by our Deputy Editor's often lustful comments about the upcoming addition to the Project Gotham Racing series. The Xbox 360 poses some unique challenges in the fact that it's half console, half PC, yet a generation above either of them in their current form. We're all excited to see what the technology can do, and even more importantly what the developers can do with the technology. Each of us is anxiously awaiting our choice title, but the prize my eye has been set on since inception has been the big fish. Being an RPG fan, I've been waiting for something huge. Not just a few cars or a set of levels to shoot through, but a fully interactive world to be immersed in. 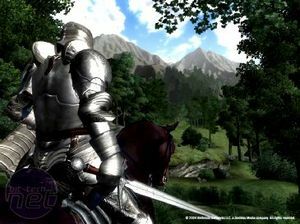 And that, my friends, is what the Elder Scrolls 4: Oblivion promises for both Xbox 360 and PC in 2006. For those of you who didn't lose months of your lives to previous games of the series, the premise is simple: here's a world with people, places, and things...now go; thrive. Yes, there's plot to each one (quite an epic one, which takes a long time to unravel), but there's just so much to see that you can get wrapped up for far more hours than any gamer cares to admit just wandering and seeing what the world had to offer. Personally, I lost count at 175 hours in the current game, Elder Scrolls 3: Morrowind. Think about that for a second: that's 2 hours after work every day for 3 full months. Max Payne this sure ain't. 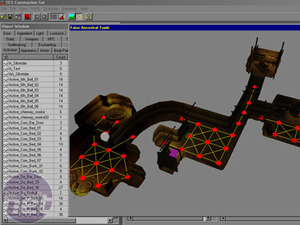 Designed, created, and sent off like a child by its loving parents at Bethesda Softworks, each game in the Elder Scrolls series has redefined the terms 'massive' and 'interactive'. 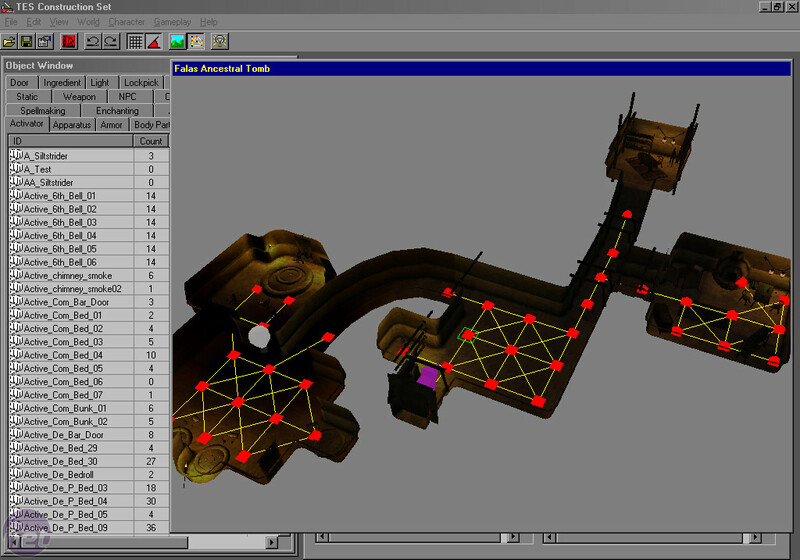 Morrowind expanded this even further with a tremendous development community that sprung up after its release, since the retail game was coupled with the same tools the developers used to build it: The Elder Scrolls Construction Set. Of course, designing such a world isn't easy, but the job is made more difficult when given the task of porting from PC to console. 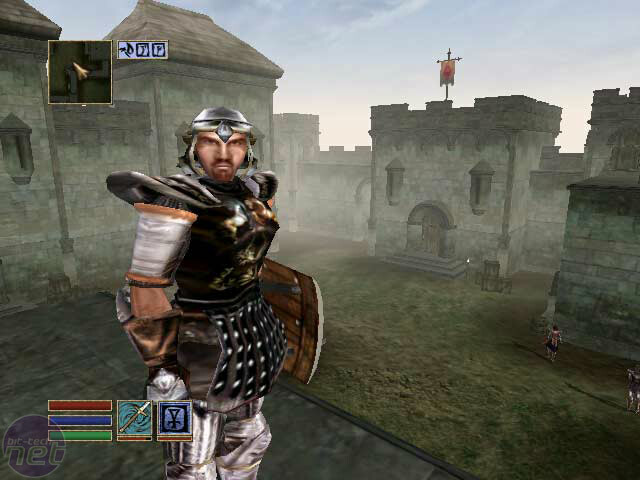 Elder Scrolls 3: Morrowind - released in mid 2002 - was graphically modest and was relatively simple to port across to Xbox though it lacked the community modifications and official expansions that came after. 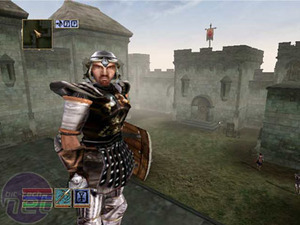 The size, scope and sheer graphical grunt required for Elder Scrolls 4: Oblivion requires gigahertz of processing power to run, good bandwidth to update and expand, and gigabytes of hard disk space to store. Things that a console didn't really have...until now. So rather than give you guys a normal preview of the upcoming game, I decided to take a road less travelled. 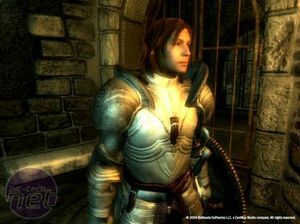 I cornered one of Elder Scrolls 4: Oblivion's Producers, Gavin Carter, to answer a few questions on how development is going between two technologies: PC and Xbox 360. The Oblivion team has been fairly tight-lipped about their technological achievements so far, and so we weren't sure of the responses we'd get. Fortunately, the guys and girls over at Bethesda were more than accommodating - it didn't even cost us 60 gold, and they declined all offers of the special bit-tech potion that allows us to continuing working late at night, something we thought might help them finish the game.